Peter Guevarra) have written blogs arguing a case for the repositioning, or upgrading of commercial property assets. They highlighted the wide spread between prime and secondary grade assets in both rents and investment yields in the Sydney and Brisbane markets. The question, however, remains: Do the current metrics for prime and secondary grade assets justify the cost of repositioning an asset from secondary grade to prime grade? To test this theory, I built a simple feasibility model to test two possible scenarios. In the first scenario the building owner refurbishes a secondary grade building to prime grade, compared with the status quo of leaving the building in its current form. The model assumed a hypothetical 20,000 sqm secondary grade office building. The building is capable of achieving market rents, selling at a market yield, and has an occupancy rate equivalent to the market rate. The hypothetical owner is at a cross roads. All of the tenants are coming up to lease expiry. They can either a. renew their current tenants’ leases at the market rent for secondary grade assets or b. refurbish the building to prime-grade standard and receive a consequential uplift in income and value. The model assumes some key parameters. The refurbishment timeframe is assumed to be 18 months, commencing immediately. Construction costs were taken from an industry standard construction handbook. Other costs included lost rent, leasing costs, and leasing incentives. Further, Jones Lang LaSalle forecasts were utilised to project market rent and capitalisation rate on completion. Finally, NLA of the existing building was assumed to increase by 10% given the opportunity for the landlord to find extra space or extend during the construction process. The model was applied to each of the major Australian CBD office markets. As postulated by my two colleagues, Sydney and Brisbane are currently the two best markets in which to reposition an asset. The valuation uplift for Sydney was18.9% after costs, while Brisbane recorded a 10.6% uplift after costs. Sydney has the greatest rental spread between prime and secondary assets, and it saw a 63% uplift in rents, with a 100 bps tightening in cap rates. Brisbane had the most significant prime to secondary yield compression of 175 bps, however its rental uplift was the smallest of any market after Melbourne, at just 37%. Perth was the only other CBD market with an uplift in valuation after costs (2.2%), while valuation after costs declined in Melbourne (-12.0%), and Adelaide (-16.1%). There are many motivations for landlords to undertake a refurbishment project; to increase the attractiveness to tenants, improve covenant or improve portfolio quality. However, for a developer taking an industry standard profit and risk margin of 18%, Sydney appears to be the only market where repositioning would be a viable option using this model. It should be noted that this case study is under the assumptions of our indicative market rents. 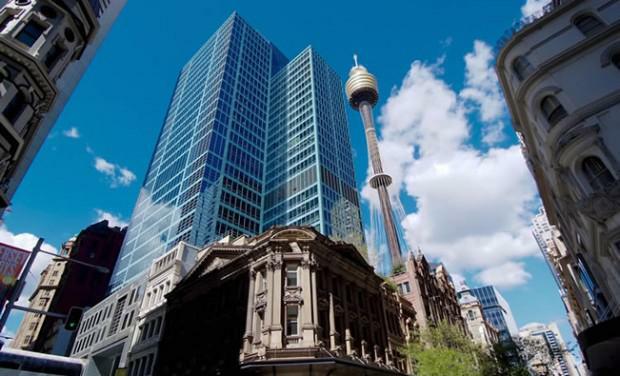 In reality, the rent and cap rate profile of each asset is different (as is the potential uplift) and we believe there are a number of assets in Sydney and other CBD office markets where a justifiable uplift can be achieved. Alex McColl is a Market Research Analyst for Jones Lang LaSalle, based in Sydney, Australia.